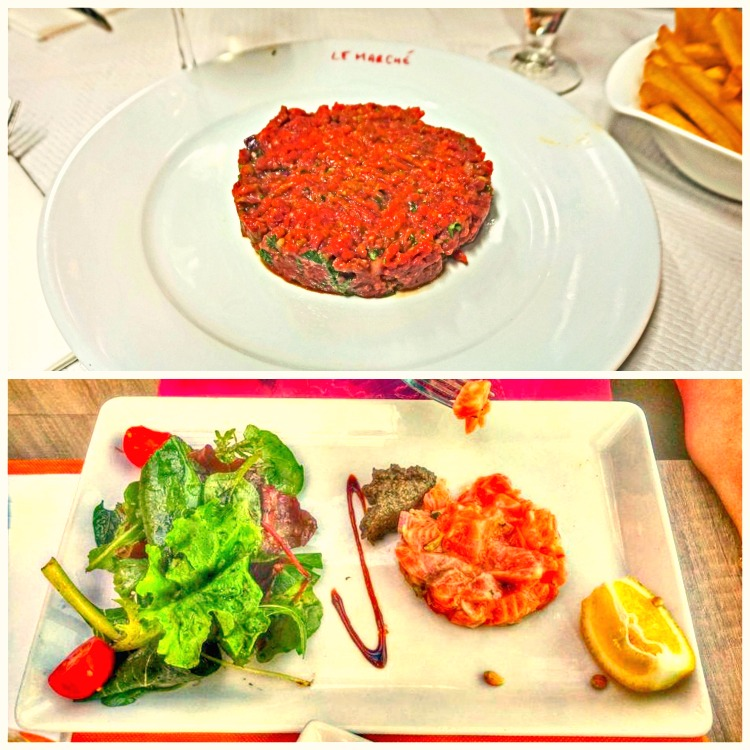 You cannot visit France without experiencing French food. The sophisticated way of cooking was always a source of the country’s national pride. Food is consider not just a fuel for your body but also for your soul. Eating in France is a celebration. It is often accompanied by small portions of alcohol to enhance the experience. 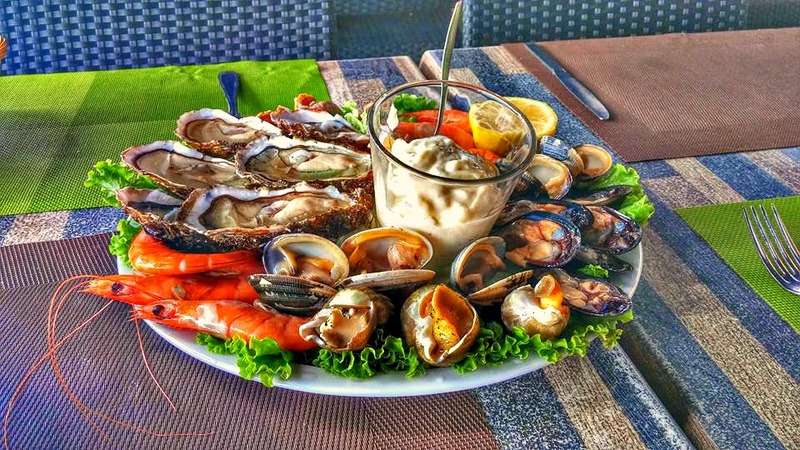 French cuisine varies by region but there are many similarities across the country. 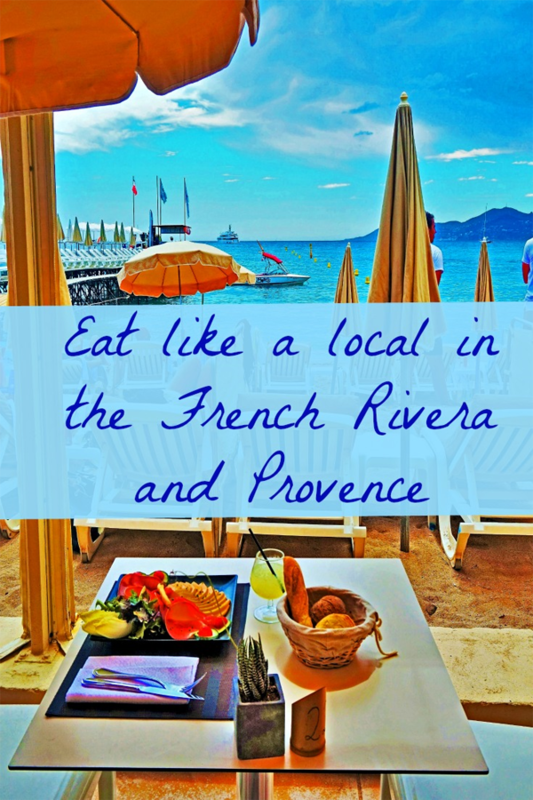 Beautiful French Rivera and Provence can serve as a perfect example of what eating in France is about. 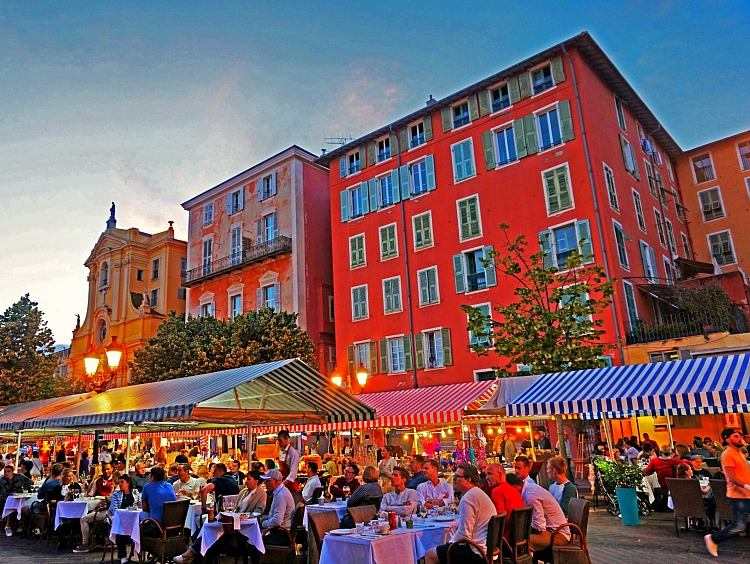 For those who developed a taste for authentic delights, France is a must-visit destination. 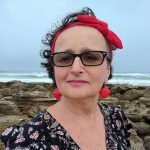 During my two week visit to Provence and the French Rivera, I was determined to try everything that was true to the region. At the same time, I was also hoping to figure out what is so special about the way the French eat that they stay so thin. Just the thought that the secret was in a diet gave me an excuse to eat and drink whatever I wanted as long as it was French. I visited France in June, before European vacations start so my people watching concentrated mostly on the locals. They never seemed to rush anywhere. Restaurants/outdoor cafes were always full, late into the night. It was obvious that people did not gather just to fill their stomach. Eating was an integral part of their daily relaxation. For them, food was to be enjoyed not to be swallowed in a hurry. 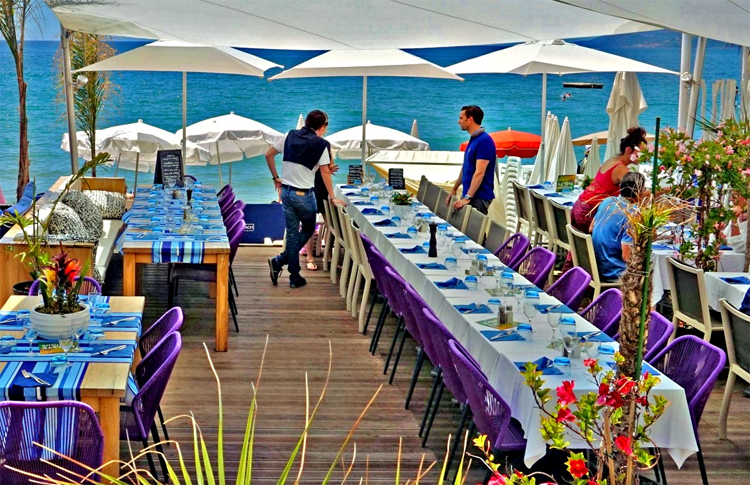 Thanks to its warm climate, beautiful scenery, and an abundance of charming historic villages, southeast France outdoor cafes pop up everywhere people would want to stop and eat, that includes beaches. 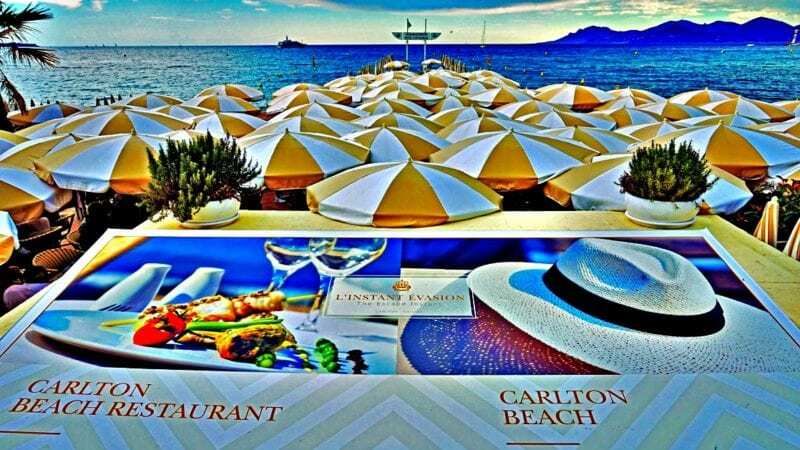 Some restaurants sit right at the beach and are taking a large chunk of sand but no one minds to have food and cooling drinks within reach. You would think that an outside space with gorgeous views does not need anything more, but is not the case in Provence and the French Rivera, and I assume everywhere else in France. Each place I visited had a specific color palate that made it even more inviting and stand out on its own. 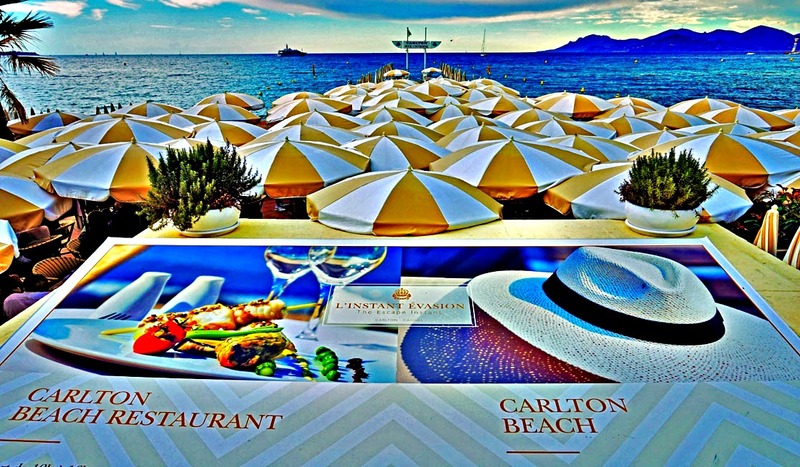 French are known to be proud of their country and their cuisine and often do not bother to put English translation on their menu. As a matter of fact, at only few restaurants I was able to freely communicate in English. It was not because waiters were reluctant to speak it, they simply did not know how. But with some effort on both sides, you would most likely get what you ordered. Tips are included so that makes it is easy to pay without calculating. Guides to France suggest to give an extra tip if you are exceptionally satisfied with the service, but I never had that urge. In France ice is not as popular as in America. Water is served chilled but no ice. It is because cold is not considered a quality on its own. 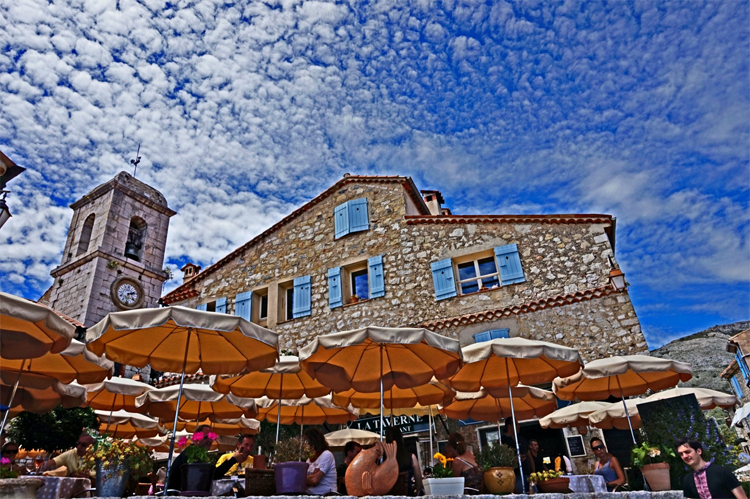 Credit cards are widely accepted in France. I used them for all my meals, even just an appetizer. I am pretty sure there is no minimum to charge. I was very happy that American Express card was easy to use which is not always the case. I had a $500 opening bonus on it and I paid with it for some of my hotels. For the rest of my lodging, I used IHG credit card to earn free anniversary nights and various frequent flyer miles which I often find to be a better deal than using them for flying. Before visiting France, I did not know much about French food for breakfast. I was thinking it would be similar to what is offered in other European countries. I was expecting at least some kind of eggs. It was not the case. I only saw hard boiled eggs in one hotel during my entire trip. 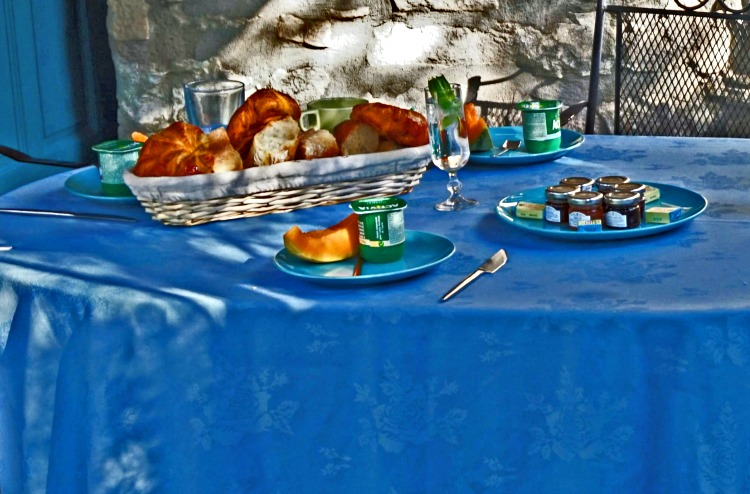 Typical breakfast consists of croissant, baguette, butter, jam, and coffee. Tea is also available but mostly for tourists. In recent years, French tend to add small portions of fresh fruit and yogurt to their morning meal. Despite missing traditional American breakfast items like eggs, bacon, ham or sausage, French breakfast is delicious. What makes it so tasty? The breads are freshly baked! Croissant is meant to be eaten plain or with jam or dipped in a coffee. Butter and jam are to be put on a baguette. Typically, breakfast is not included in a hotel rate but it was available in all of the hotels I stayed in. The cost was between 8 to 18 Euros. For 18 Euros, you would get additional items like ham, salami, and cheese. After rather basic breakfast, lunch is the time when French food finesse starts shining through. It is a very important meal for people of France – a nice break from work, time to relax and enjoy food. It is often the largest meal of the day mostly enjoyed in restaurants but also eaten at home. 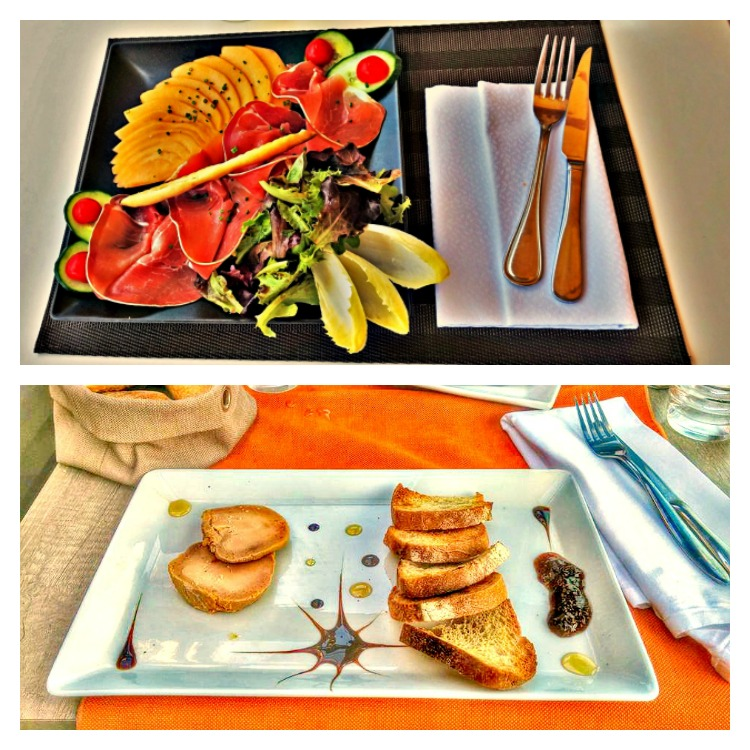 It usually starts with a light appetizer like salad, pate, or terrine (soft meatloaf). Portions are small since there is more to come! Next is a main course consisting of fish or meat, along with vegetable, potatoes or rice. Finally, a small desert like a fruit tart. Not everyone has time to slow down for lunch so for a quick meal you can buy sandwiches with cold cuts and cheese. They are rather large and popular with young people. This is when I learn how uneducated I was as far as French culinary rules. On one occasion, I decided to have limoncello liqueur before my dinner. When I tried to order, the waitress gave me a puzzled look. Then she used all 35 words she knew in English to explain to me that I was probably out of my mind ordering it before the meal! She pointed to the menu where it was listed under “digestifs,” something that supposed to have after dinner to help you digest. Much like lunch, the French dinner is a multi-course affair. It starts with the aperitif, a light alcoholic drink. Next comes the appetizer. I often opted for salmon or beef tartar (raw!). Then the main course of meat or fish (and wine to match), with rice, salad, or pasta on the side. A light dessert and of course digestifs to finish the meal. This in an experience not to be missed. 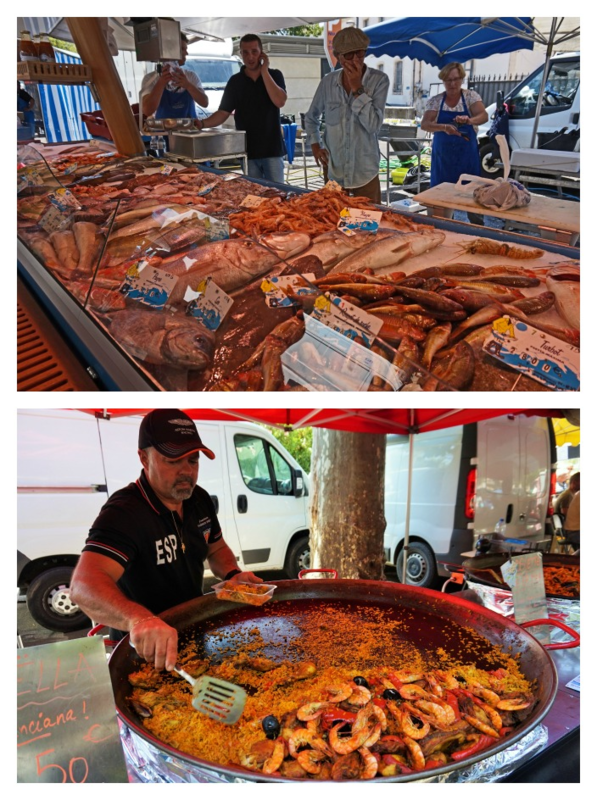 I visited two markets, one in Arles and one in Cassis. You could find all kinds of food there from fruit and vegetables to seafood and fish, including some creatures you never knew existed. There is also a variety of cooked food available if you need a quick grab a bit to eat. Question remains, why are French so thin? For two weeks I ate and drunk like a local. I did not loose any weight but I did not gain any either. I consider it a success! But why are French so thin? They definitely do not follow a low carb diet. They eat bread, jam, sweets, crapes, they often drink alcohol before, during, and after the meal. One thing that comes to mind is that because they celebrate their food, they eat less. I also think that somehow their way of combining food and alcohol really helps to digest. Other possibility is that they eat a lot of of fresh local food, including raw beef and seafood that means low calories and no fillers. At the end, it seems that they walk a lot which is definitely a huge factor.